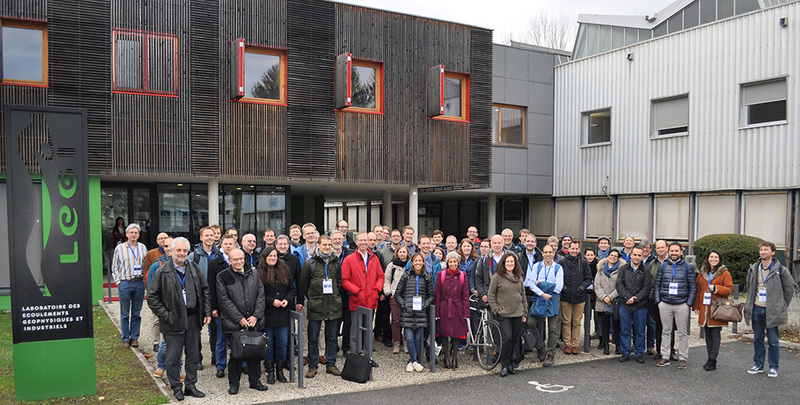 The HYDRALAB+ project of the Horizon 2020 Programme of the European Union, held its 4th project event from 22nd to 26th January 2018 in the French city of Grenoble. The meeting brought together all the participants in the project, including project partners and associate partners. This was the opportunity for the project team to analyze the progress of the planned programming in the 3 different Joint Research Activities and Transnational Access. The HYDRALAB+ meeting salso included an advanced workshop on Protocols for scaling morphodynamics in time (as part of the JRA1 RECIPE: CLimate change in physical experiements research) and a workshop on Climate Change Community Stakeholders that saw a number of very interesting presentations by project stakeholders including presentations from the Catalan Office for Climate Change and a presentation on EU climate adaptation strategy for Flood risks from the EU Joint Research Centre. Finally the CNRS, Laboratoire LEGI in Grenoble (France) also organised on Tuesday 23rd January a technical fieldtrip to the LEGI laboratory including the Corioluis platform and a participant dinner on the 24th. We look forward to our next meeting in Catania, Italy in September 2018.